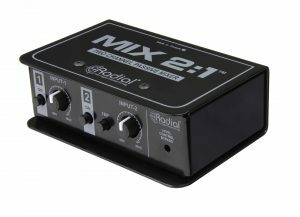 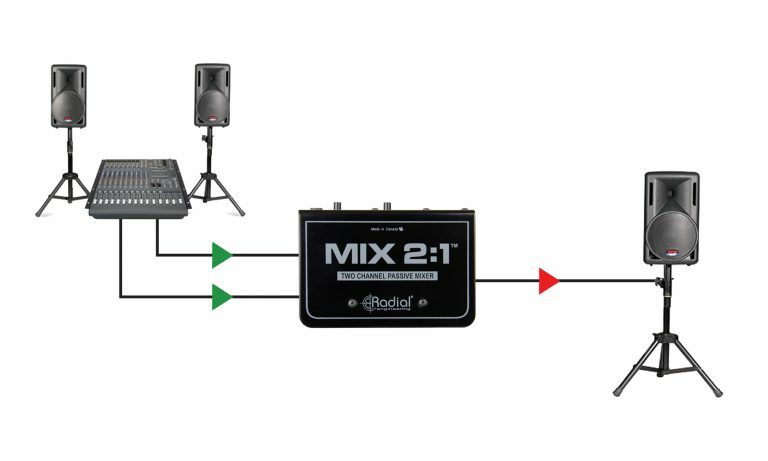 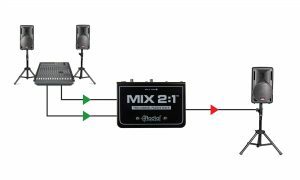 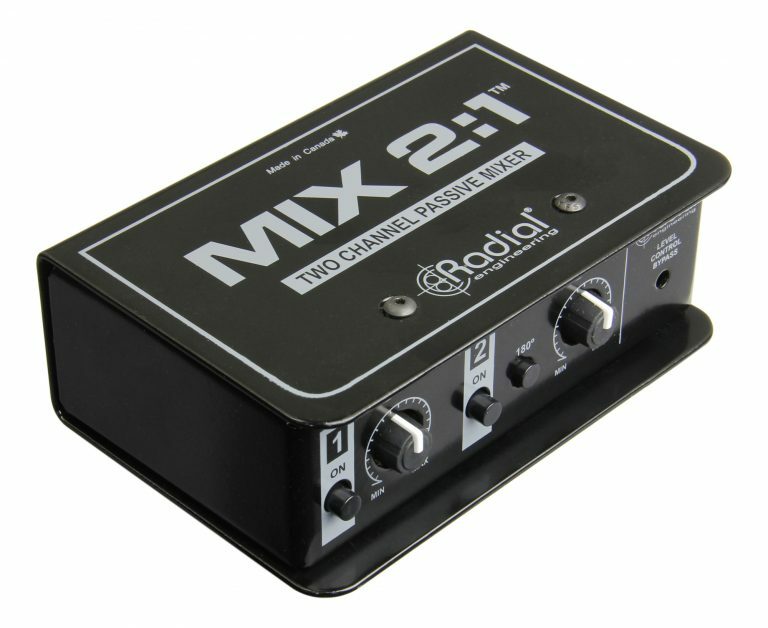 The MIX 2:1™ is a simple yet highly useful mixer that passively sums two audio channels down to one. 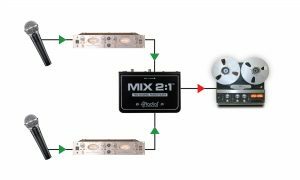 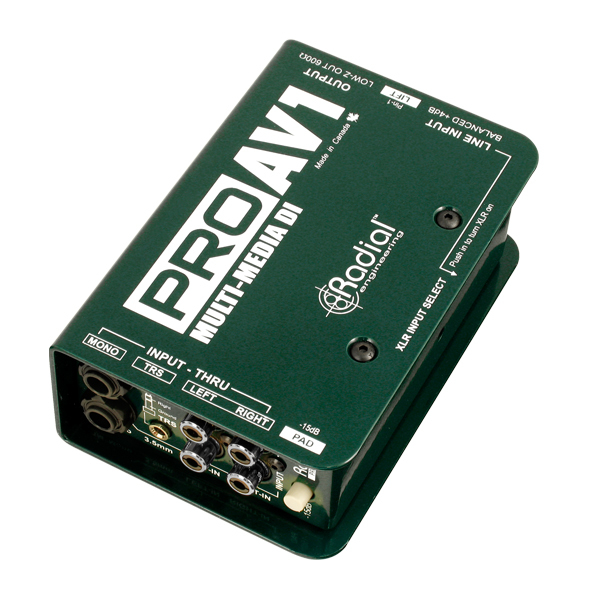 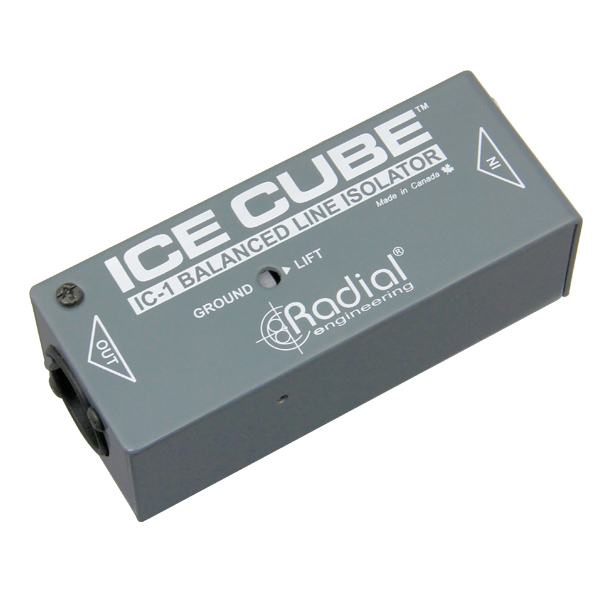 This enables you to easily sum the stereo outputs of a console, recording interface, or portable playback device down to mono, or to mix any two signals together and balance their relative input levels. 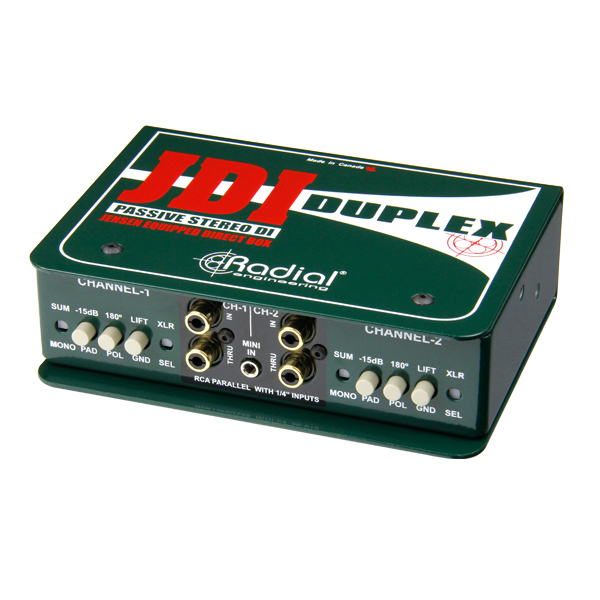 Combine two tracks to a single input on your audio interface. 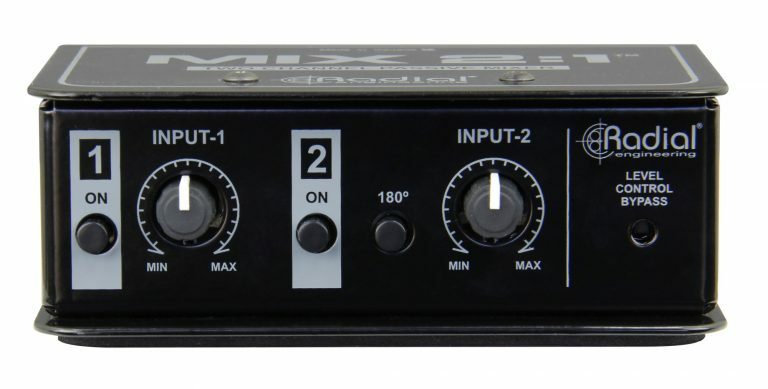 Use the 180° phase flip to ensure phase coherency between the two inputs. 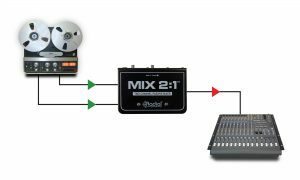 Engage the level control bypass to sum both channels at unity gain into the mono input of a powered speaker or a recording device. 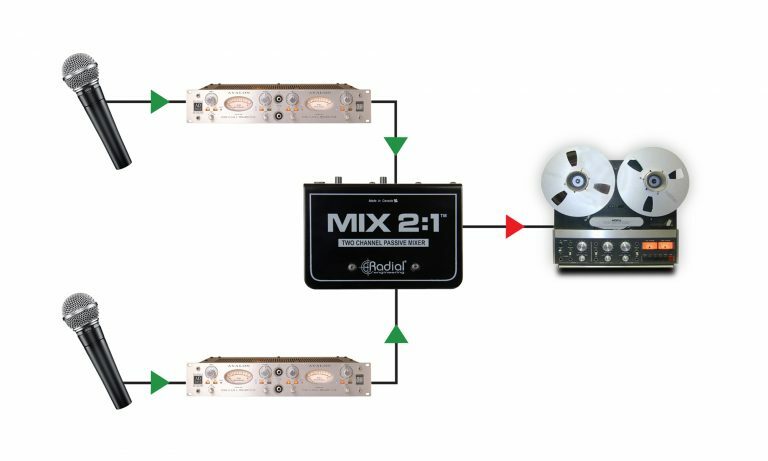 When you’re short on channels, the MIX 2:1 allows you to sum a stereo output down to mono, using only one channel on the console. 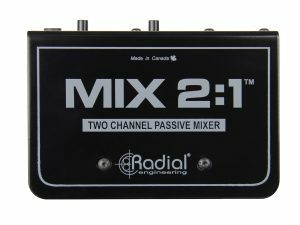 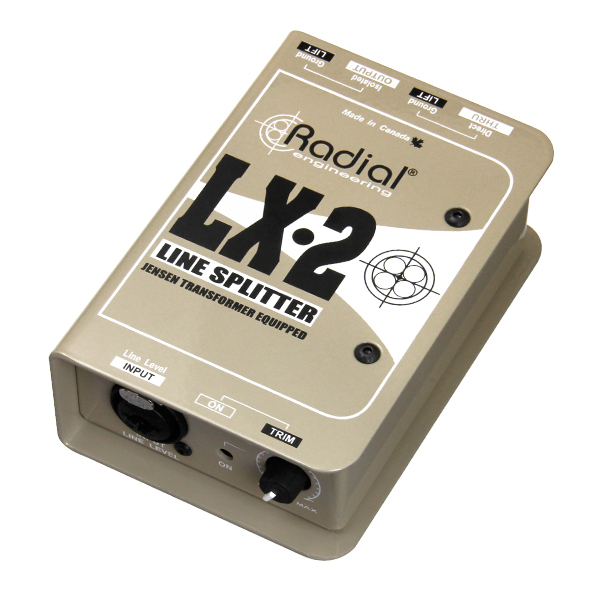 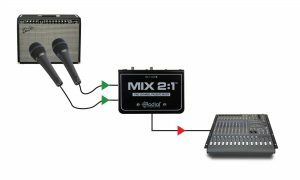 The MIX 2:1 works with mic-level signals as well, which is useful when you're low on available input channels, or want to process two mics using the same signal chain. 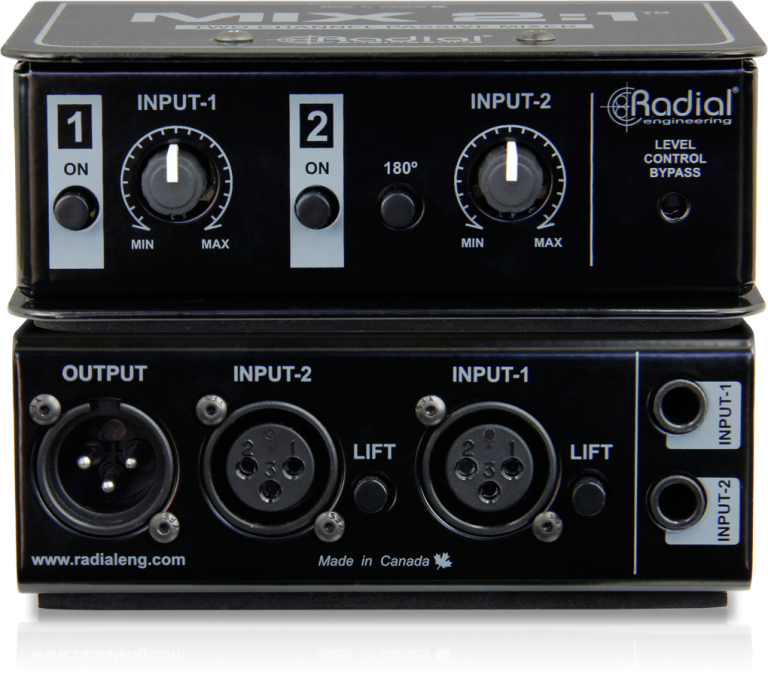 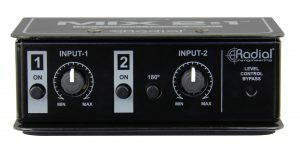 Ensure phantom power is disengaged when connecting the Mix 2:1 to a microphone preamp.